The works of Thawan Duchanee are famous not only in his native Thailand, but also around the world. The ‘Baan Dam’ (บ้านสีดำ – Black House) museum, where his works are exhibited, is a popular tourist destination in Chiang Rai, Thailand. Now the artist’s son wants to add an extra dimension to his late father’s work to make the exhibition unique and even more memorable for guests. 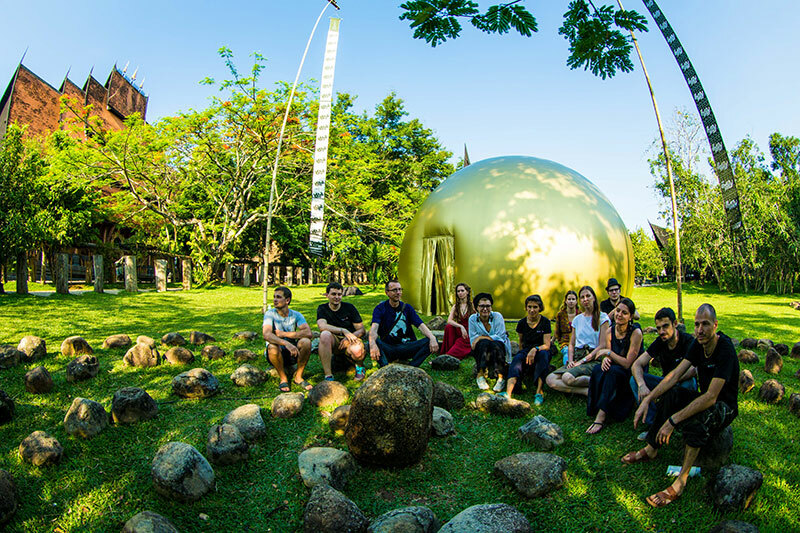 Our team visited Baan Dam with an 8‑meter dome to present our projection technology and share some of the possible ways the late Duchanee’s work could be made into an immersive digital exhibition.